Much has been discovered about fascia in the last decade and much has been shared. How do we integrate this information into a useful and functional tool? How do we interpret the science into an understanding that makes sense for how we live our lives every day? How do we evolve what a body is by including the fabric of fascia? Fascia exists to hold the body and preserve the eduction that we feed it with our movements, repetitions, behaviors, injuries and explorations. 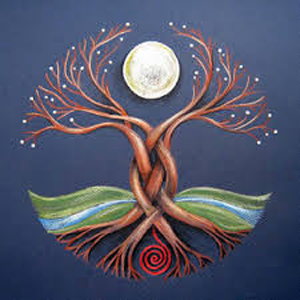 The fascia connects us and helps us to maintain the integrity of our structure. It cements our patterns and ways of being in the world. It is sticky and adjustable so that it can acquiesce to the repetitive postures as we change them. It also becomes dehydrated when we forget to move and remain in those very shapes. When our bodies become stuck in a shape, then our mindset adapts, we think this is who we are and have a difficult time finding our way our. By feeling and introducing the feminine back into our consciousness, we can change our ways. Feeling is the way to discover where movement exists and where it doesn’t. Fascia adds dimension to the body. It also offers us access from the places of movement or places of connection to the places of forgetting, to the places to which we no longer have access. Fascia is the concrete fabric that helps us feel ourselves. It shows us where in the body we can embody with ease and where we have lost touch with ourselves. Fascia is the way to remembering in the mental sense as well as the physical sense. Reconnecting or re – member – ing the physical form. If we follow the sensation from the places that we can feel with ease toward the areas of our body that seem distant, then we can begin to gain access to first the boundary of the unknown territory and then into the heart of where we have forgotten. By knowing the shape of the muscles, by having understanding of the maps of the body we retain access to the divine masculine. By feeling how that maps connects throughout the body, we gain access to the feminine. The sacred marriage is the moment, the epiphany that occurs when all the gears align and you can feel what you know to be true. When we translate knowledge and language into a feeling and reclaim access to the physical form we experience the divine marriage. When this occurs, we are hooked and keep coming back for more. We seek to gain access to this moment again and again and again because it is energizing and inspiring. When we experience the diving marriage of knowing and feeling we gain access to our bodies, we embody. One way to map the body is to divide it into the parts known to us and the parts unknown. There exists at any moment places in the body that we can move whenever we so choose. These parts are known and felt in real time. Then there exists places in the body to which we can not connect. These parts are unknown to us. The known can be mapped with the light of awareness. The unknown can be mapped with darkness of amnesia. There are two key patterns connected to the unknown darkness. The first pattern are the places that we are engaging unconsciously most of our lives. We muscularly grip or hold tissues in a range of ways from subtle, imperceptible contractions to powerful, massive contractions. The second pattern are the spaces in the body where we have no access because we have forgotten or have never learned to feel or use them. Often we have no muscular capabilities here and lean on the skeletal fascia body in the form of ligaments. Imagine the nervous system in this whole, dimensional body of dark and light. The parts that we are aware of are teaming with light and electricity. The parts that live in darkness have no connections and remain in shadow like a town that lost its light from a storm. The process of embodiment is the process of expanding the light into the dark areas of self so that we can land successfully in the whole form. Now visualize a place where one is consistently and unconsciously holding or gripping the musculature. The constant contraction squeezed fluid out of the area because of the inward pressure. At the same time, the fascia is pulled toward the engaged muscle like a magnet dimensionally pulls in metal. As the fascia is pulled toward the contraction it stretches as much as it is capable and then it begins to draw surrounding bones, organs or other tissues toward it. In this way, an unconscious contraction reshapes the bodies landscape by drawing attention and structure toward it. Now visualize this as a three dimensional phenomenon. If one of the reasons that fascia exists is to aid us in feeling our bodies, then how can we learn to use this to make functional and structural changes to our body. The historical practice of stretching has the general population believing that stretching is a practice of changing the shape of muscles. It also has us thinking that stretch is an activity that works by taking our tissues to their maximum flexibility and then asking them to adjust to a new and expanded normal. The truth is that by stretching a myofascial unit to its maximum length actually creates a response of maximum resistance. Imagine stretching a rubber band to its full capacity. You then feel the maximum resistance that the rubber band has the ability to hold. The rubber band will not acquiesce to a new shape, it will either maintain its integrity or it will snap. The body responds in a similar fashion. In fact, when we meet tissue or fascia at its maximum resistance, we often create a pain response. So how then shall we facilitate successful change to a myofascial unit? By learning to listen and feel our body we can awaken to what I like to call ‘First Resistance’ or ‘First Sensation’. First sensation is the place on a myofascial unit that we feel when we make subtle, quiet movements. When we move two bones away from each other, we awaken the soft tissue connections between those bones. The first sensation is the place on the myofascial unit that offers us our first resistance. This is the first place where change needs to occur. The goal of first resistance stretching is to constantly meet the place of first resistance so that we can systematically make incremental changes to our fascial body. By making small incremental changes and working slowly through the full range of a myofascial unit we can make sustainable structural changes to the soft tissues. If you are interested in bringing this life to work and putting it into practice, then join me at the Center for Remembering and Sharing every other Tuesday morning from 9am-11am for my new class Limb X Limb. This 2 hour long class will be a workshop style that includes meditation, fascia movement, short lecture, partner work as well as holistic anatomy, chanting and dharma. Limb X Limb is a labor of love and was born out of distilling 20 years of knowledge and movement. The practice is designed to help your land in your body, to feel yourself clearly and understand what a body is. Please sign up and pay in advance as space is limited. Email me at zacherydacuk@gmail.com for more details or questions.